European millennials were born with the privilege of few borders, easy travel and free trade, thanks in part to the European Union. But although EU law underpins the realities of their daily lives, many young people admit they know relatively little about the organisation and how it works. One thing Europeans as a whole tend to agree on is that the Brexit turmoil in the U.K. has put them off leaving the 28-country bloc. In the latest EU survey from October, the proportion of people who believe that their country's membership is a good thing reached its highest level since 1992. This burst of positivity comes as more than 373 million voters across EU member states prepare to elect new representatives to the 705-seat Parliament, which is based in three different countries. In the last election in 2014, turnout among the young was particularly low, with only 28% of people 18 to 24 casting a ballot, compared to some 51% of those over 55. This year's elections are scheduled for May 23-26. With E.U. leaders set to decide Wednesday whether to grant Britain another Brexit extension and seven weeks the before EU elections, NBC News spoke with young people in six countries to better understand how what it means to be European in 2019. 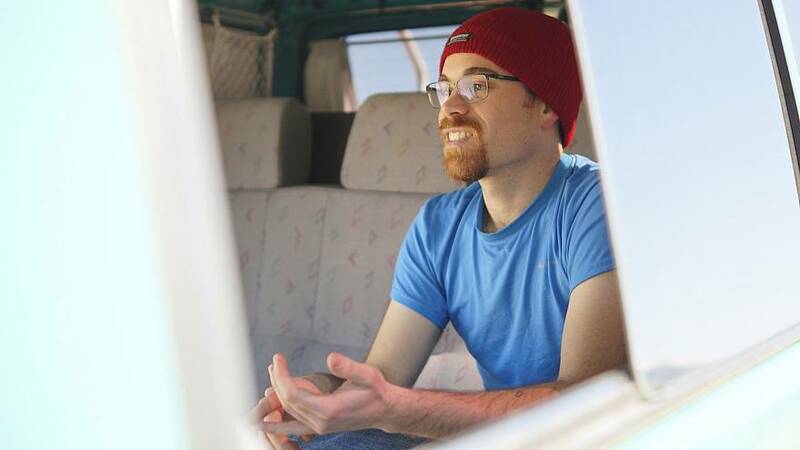 Gonzalo Ahijado, 28, describes himself as a digital nomad. 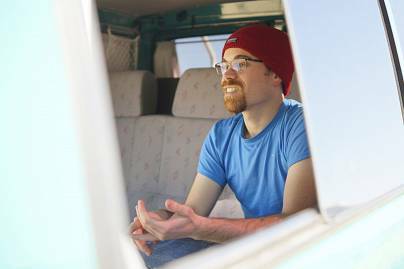 He works as a freelance web developer and travels around in a van and on his bike. Seven years ago, he left the small Spanish town where he grew up and moved to London to learn English and see the world. He ended up staying in the British capital for two years, working as a waiter, before returning to Spain. Spain's membership in the EU has given him the freedom to live and work anywhere across its 28 member states. Yet Ahijado said he knows little about the EU and how it affects life in Spain. "I don't know if it's something cultural, or maybe something related to the news, but we don't have too much information about the European role here in Spain," Ahijado said. "I think we should know more about it, because in the end, it's something very important to Spanish people, to young people." Despite his self-professed lack of knowledge, he feels fortunate that he has the opportunity to live and work across the EU. Ahijado is now preparing to set off on a world tour. "I like the EU," he said. "For me to travel is to feel free. For me travelling is freedom." Unlike many other young Croats, Sabina Stipanec, 29, decided to remain in her homeland instead of moving to another European country. Croatia is one of the newest members of the EU, having joined in 2013. Since then, migration out of the country has skyrocketed, especially among young people looking for work. The country has a youth unemployment rate of 31%. In 2017, 48% of those who migrated were 20 to 39. In comparison, youth unemployment in the U.S. stands at 9.2%. Stipanec decided to stay, thanks to the job she found as a project manager at a youth association. "In general I don't have very strong feelings for the European Union. I think it has some benefits for Croatia and Croatian people. I don't hate it, I don't love it," said Stipanec, who lives in a small town 40 miles southeast of the capital, Zagreb. "We do have much more opportunities now that we are a part of the European Union so we can go work abroad more easily, which is also a good thing and a bad thing for Croatia. Also, a lot of programmes for youth, in particular, are now open to us, and I think that's really great." Though the country's membership in the bloc has caused a brain drain of sorts, she thinks it would be "crazy" for Croatia to consider leaving. "A lot of the reasons why Croatian people voted for the European Union revolved around the corruption in Croatia and not trusting our politicians," she said. "We have some kind of security when we are in the EU and some kind of protection." Hannes Bumann,23, is part of a rapidly disappearing breed. He's a farmer whose family has owned their farm in a small village in the north of Germany for a century. His future as a farmer, however, is now up in the air after his family was forced to rent their land to a larger company last summer during a prolonged drought. 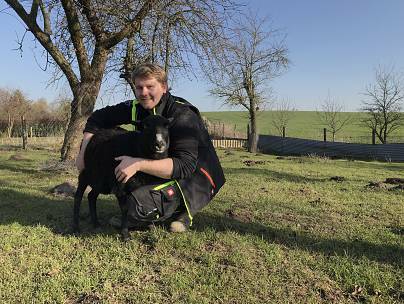 They have kept some of their livestock, and Bumann is currently caring for them as he waits for his master's programme in agricultural studies to begin. "We used to have a range of livestock: cows, pigs and even chickens. But the EU came along with so many regulations that we had to let them go one by one," said Bumann, who hopes to get a job at a large agriculture company when he finishes his degree. "Now we're down to only six bulls. It's really the hardest part," he said. "You have a connection with them. "Fifteen years ago, his small village was home to five small farms. They have all closed or rented out their land to larger concerns. Though he blames EU regulations for complicating the lives of farmers, he also acknowledges that many farmers are dependent on EU subsidies for survival. "All of the systems that are tied to the EU are very complex and that system is difficult to understand. I do not get it 100 percent and maybe there needs to be more explaining," he said. But he personally feels that being in the EU offers him opportunities he wouldn't have otherwise. "The EU has a positive impact on our lives," he said. 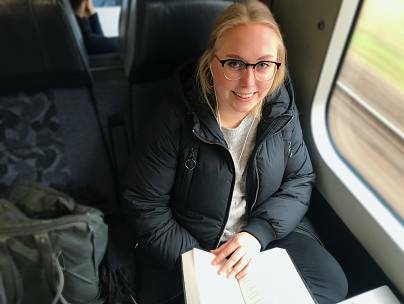 "I am free to decide where I want to work and where I want to live, and that is possible without a large effort within the EU"
The small town where Lærke Løvendal Kristensen, 22, lives is closer to the German border than it is to Copenhagen, the capital of Denmark. 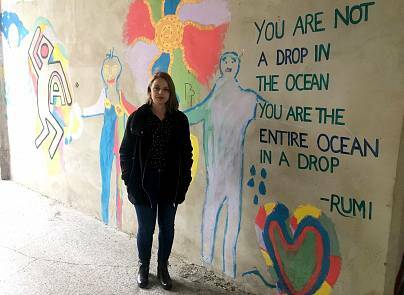 In just over an hour she can pop down from Lunderskov to Germany to shop, or drive through three countries — and zero border checkpoints — for a vacation on the coast of Croatia. The EU has in part made that possible, but Kristensen said that she has little knowledge about how the organisation works. "We don't learn in Denmark about the EU very much. You have to seek the knowledge yourself, and I don't think people do that," said Kristensen, who is studying for a university degree in Danish. "We have open borders, and we can go to Germany and buy candy and sodas, and that's it. People don't know what the consequences will be if we're not a part of the EU anymore." Despite her lack of understanding, she has no doubt that Denmark should stay in the bloc and thinks that it acts as a protection for Denmark. "In the EU, we actually have a voice in the world perspective, which we don't have if we're just little Denmark in the north," she said. Immigration is a hot topic around the EU and especially in Denmark. Nearly 50% of Danes say it's the most important issue facing the EU today, according to a recent Eurobarometer survey. Kristensen credits her strong Christian faith for making her feel more open to immigrants. And she sees Danish culture as a way of uniting people of different backgrounds, from sports to the beloved brun sovs, a smooth gravy Danes put on potatoes. "We can't live without it. It's a part of being Danish I think," she said. "It's something we all can agree to in Denmark. Even though it's a very weird thing to be agreeing on."